Gary Katcher - Co-Founder and Chairman of GRK Partners LP Gary Katcher has spent the last 30 years building businesses, running trading desks and creating a strong network of trusted investment and client relationships. 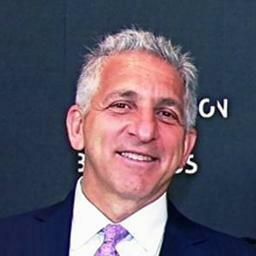 Gary Katcher currently serves as the Chairman and Co-Founder of GRK Partners LP in Greenwich, Connecticut. GRK Partners is a registered investment adviser that operates as the investment manager for their credit opportunities fund, GRK Master Fund LP. Prior to taking on his current responsibilities, Gary Katcher served as an Executive Vice-President with Knight Capital Group, Inc., where he was the Global Head of Institutional Fixed Income and Capital Markets managing a team of over 180 people. Gary Katcher founded Libertas Partners LLC (Libertas), a prominent boutique fixed income broker-dealer, in 2002. Libertas focused on distressed, high-yield, investment grade, MBS, structured products, crossover debt, post-reorg equities, emerging markets and convertibles. For the better part of six years, Gary Katcher served as the CEO of Libertas until he sold the business to Knight Capital Group in 2008. Prior to that, Gary Katcher spent two years as co-head of the Leverage Finance Group for the Royal Bank of Canada (RBC) in New York City. Under his strategic guidance, RBC’s Leverage Finance Group expanded from a small team to a robust division with more than 35 employees in the fields of research, sales, trading and banking. Prior to his role with RBC, Gary Katcher was the head of high-yield trading at Merrill Lynch for eight years. He also spent time as head of high yield trading with EF Hutton in New York City. Gary Katcher completed his Master of Business Administration in finance at the New York University’s Stern School of Business. Gary Katcher graduated with a bachelor of science in business and geography from the State University College of Oneonta.